The Suder Greens neighbourhood is located within the Lewis Farms Area Structure Plan (ASP) and is located roughly in the centre of the ASP. The neighbourhood is bounded by Webber Greens Drive to the north, 199th Street to the east, Suder Greens Drive to the south, and Winterburn Road (215th Street) to the west. 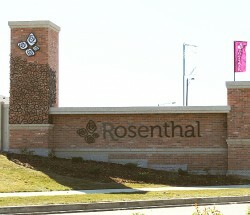 Residential construction began in the 2000s and is still actively under way. As of 2006, low-density housing made up the bulk of the housing stock in Suder Greens, with single-detached homes accounting for over 70 percent of all residential units, and semi-detached homes and apartment units making up the remainder. Once complete, however, the neighbourhood will accommodate only 44 percent single-detached units with low- and medium-density multi-family housing making up the majority of all units within the neighbourhood. 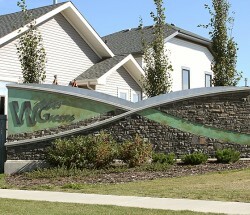 A pipeline corridor, which traverses the neighbourhood from east to west across the northern portion of the neighbourhood, has been landscaped as a linear park, which serves to provide residents with increased pedestrian connectivity. A commercial site has been planned for the southwestern corner of the neighbourhood but has not yet been developed. 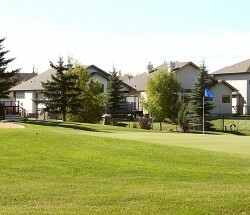 Residents can access commercial services in the adjacent Glastonbury neighbourhood to the south and can easily reach a variety of west Edmonton locations via Stony Plain Road. 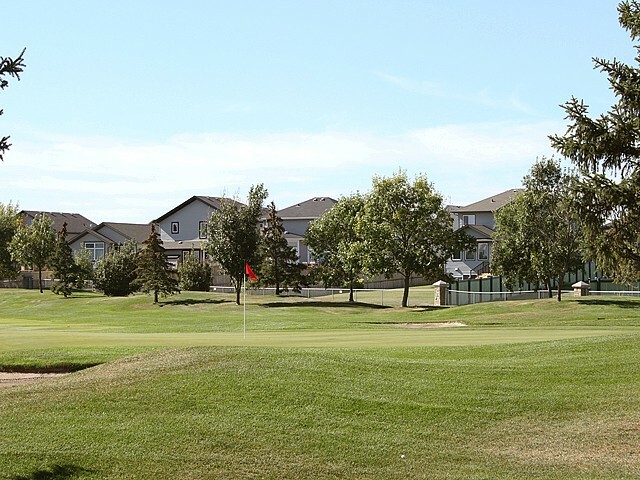 One of the main features of the Suder Greens neighbourhood design is the incorporation of three Lewis Estates Golf Course fairways that run across the centre of the neighbourhood. 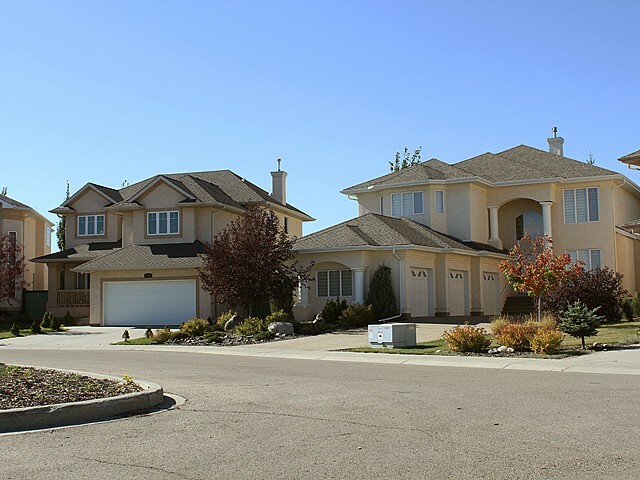 Homes are situated to take advantage of the open-space views along both sides of the fairways and are oriented along a series of loops and cul-de-sacs that connect with the main interior collector roads. 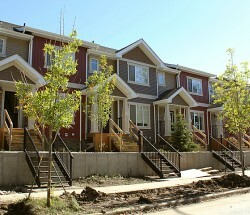 All neighbourhoods in Lewis Farms are named after early pioneers in the Edmonton area. Suder Greens was named after Joseph Suder (1869–1922), who homesteaded in the Winterburn area with his family in the 1890s.